Most managers spend over half their time working with a team, and the One Minute Manager’s practical advice shows how any team can work better and more effectively. 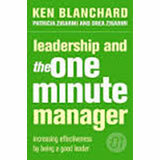 The One Minute Manager Builds High Performing Teams explains the four stages on the way to building a high performing team: Orientation, Dissatisfaction, Resolution and Production and reveals how to tap the creativity and potential of people at all levels in order to become an effective group leader. 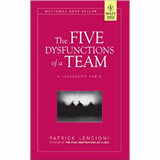 In The Five Dysfunctions of a Team Patrick Lencioni offers a leadership fable that is both enthralling and instructive He turns his keen intellect and storytelling power to the fascinating, complex world of teams. Kathryn Petersen, Decision Tech’s CEO, faces the ultimate leadership crisis: Uniting a team in such disarray that it threatens to bring down the entire company. Will she succeed? Will she be fired? Will the company fail? Lencioni’s utterly gripping tale serves as a timeless reminder that leadership requires as much courage as it does insight. Throughout the story, Lencioni reveals the five dysfunctions which go to the very heart of why teams even the best ones-often struggle. He outlines a powerful model and actionable steps that can be used to overcome these common hurdles and build a cohesive, effective team. Lencioni has written a compelling fable with a powerful yet deceptively simple message for all those who strive to be exceptional team leaders. For every manager, getting the most from their team is paramount in achieving superior results. Belbin’s vital area of management research supersedes the usual preoccupations with qualifications and experience, considering instead the Team Role behaviours which shape everyday interactions in teams. 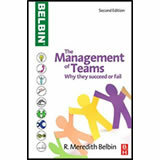 This book is an account of the experimental study of management teams at Henley Management College from which Belbin’s unique Team Role theory developed. Now in its third edition the original theory has been fully updated and rewritten in parts by the author, with chapter summaries and updated illustrations. This is the original book by Meredith Belbin, offering the only authoritative explanation of how Belbin’s world-famous Team Role language came into being.